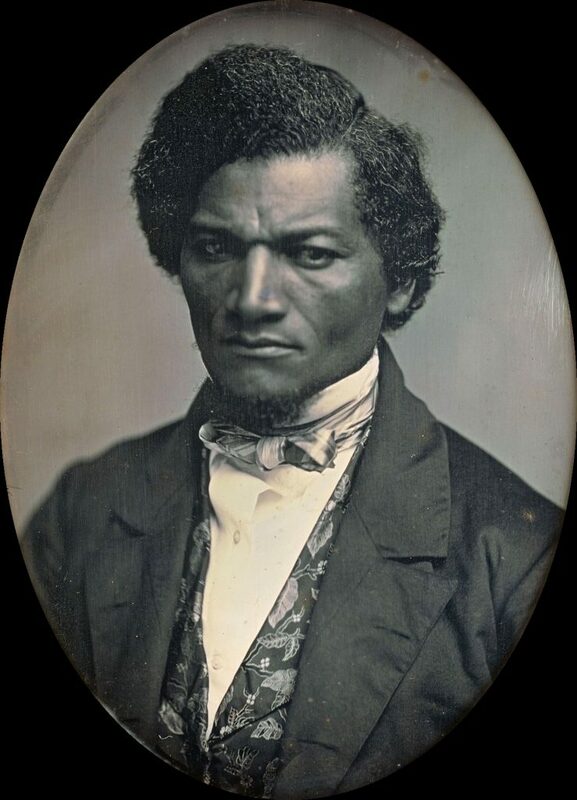 Noted African-American anti-slavery campaigner Frederick Douglass had embarked on a tour of Ireland and Great Britain, reaching Scotland in 1846. He was speaking against the evils of slavery generally, but a decision made by the Free Church of Scotland became the focus of his work here. The separation of the Free Church from the Church of Scotland meant that funding needed to be found. One source was fellow Presbyterian Churches, including those in the American South. Money was accepted from slaveholders, which did not go unnoticed by abolitionists. 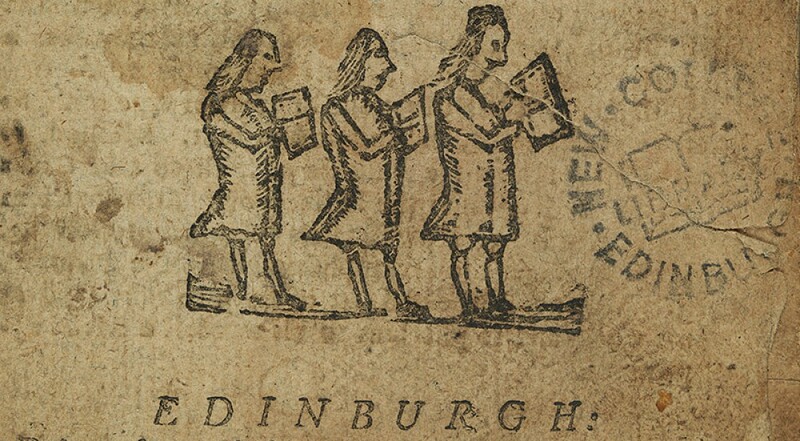 Douglass’s reputation as a powerful speaker is confirmed by two anonymous letters from a woman living in Dundee, addressed to Free Church leader Thomas Chalmers, which are held at New College Library, Edinburgh. 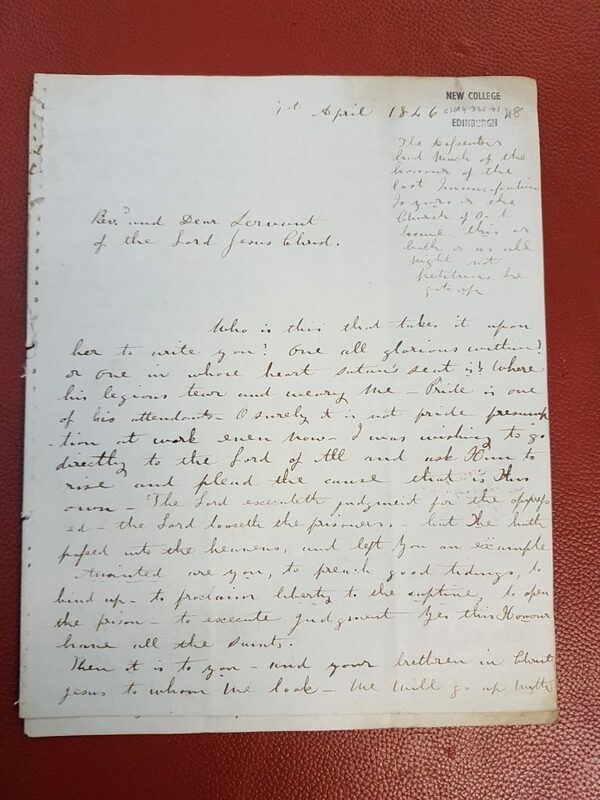 Anonymous to Thomas Chalmers, 1 April 1846. MS CHA 4.321.41-42. “Part of my ordinary as Rev. T Boston would say, or rather my extraordinary for in thought word and deed I am of late a Backslidder [Backslider], ah for Grace to grow in grace. You see how I wander –It is the Poor Captive slave I wish now to speak for. I would you would be a tongue to such dumb ones. Then soon soon the Lord will look down and deliver. For to them belongeth Power, Dominion, Strength, Mercy. And then will their tongues become glories to praise, to bless to laud the King of Glory – and they too shall not forget you –as we all have too long forgotten them. Neglect is infliction. 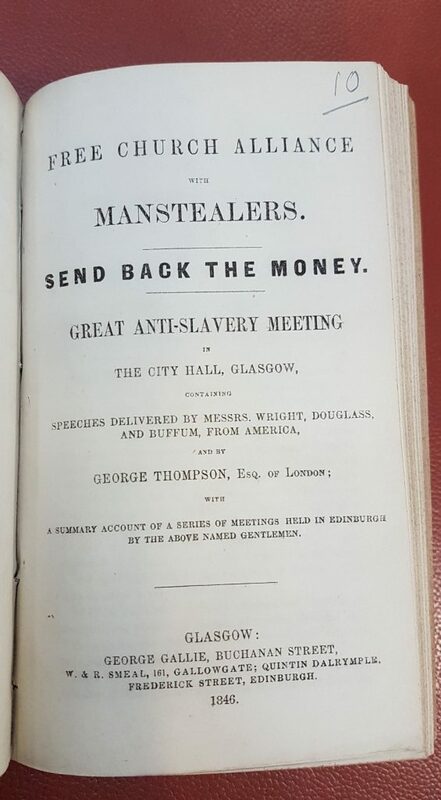 Free Church Alliance with manstealers: send back the money, great anti-slavery meeting in the City Hall, Glasgow. Glasgow: George Gallie, 1846. M.d.9/10. While the Free Church money was not returned the strong impression made on listeners by Frederick Douglass’s words can be seen clearly in these letters. With the 200th anniversary of his birth in 2018 his great contribution to the abolitionist cause is likely to be celebrated more and more.